Wasabi is a pungent member of the Brassicaceae family. It is related to both mustard and horseradish. Like horseradish, it is hot and can deliver an uncomfortable level of spiciness if you use too much of it. Symptoms of excessive wasabi consumption include a watery nose and a stinging sensation in the sinuses. 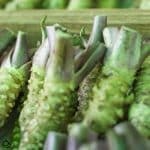 Wasabi’s spiciness comes from the isothiocyanates it contains, which is different from the capsaicin that gives chili peppers their fiery bite. As a result of the different chemistry, you don’t handle excessive wasabi the same as you would excessive chili pepper. If you have added too much wasabi to a dish, there are steps that you can take to rescue it. Dilution can work with any source of spiciness and is thus one of the few solutions that can work with both chili peppers and wasabi. In both cases, you are reducing the concentration of the compound that causes the burning sensation and balancing the flavors. Simply add more of all the other ingredients in your dish except for the wasabi. This will result in a milder and more pleasant-tasting dish. 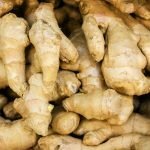 If you are using true wasabi rhizome, the compounds it contains that make it spicy are volatile and this is a downside. They evaporate quickly, which means that it will gradually lose its heat when exposed to air. Leave a dish with too much wasabi uncovered for an extended period and it will lose its pungency over time. Keep in mind that the thinner you spread wasabi, the faster it evaporates. The isothiocyanates in wasabi are water-soluble. The water-solubility means that they can be washed away by with water unlike the capsaicin in chili peppers. Water only spreads the capsaicin in chili pepper, which means drinking water is of limited benefit when combating chili pepper heat; however, it should get rid of most of the wasabi’s burning sensation. The effervescence of sparkling water or soda can also help wash away compounds that cause the heat you get from too much wasabi. It is possible to eat wasabi comfortably even if there is far too much of it in a dish. The reason is that the pain wasabi causes is nasal rather than oral like the pain from capsaicin. This means that you can relieve it somewhat by breathing through your nose to dissipate the vapor that causes the sensation. The fats that neutralize wasabi can come in the form of dairy products like sour cream. 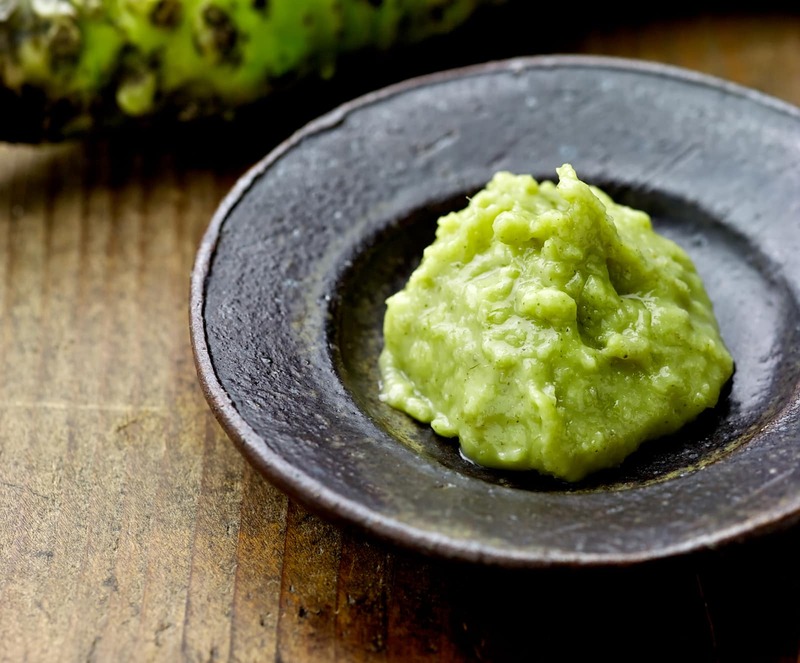 Wasabi belongs to the same family as horseradish and the compounds that cause its heat are the same as those that cause the heat from horseradish. In the same way that you can tone the heat from horseradish down by making it into horseradish sauce with sour cream, you can reduce the heat from wasabi by adding dairy fats. Other fatty options that you add to a dish with too much wasabi include butter and mayonnaise. The acidity of vinegar helps to stop the chemical reaction that makes wasabi excessively hot. Vinegar is often recommended as a treatment for the burning sensation from wasabi. Rinse your mouth with a little vinegar to get relief from the discomfort. Adding vinegar to a dish with too much wasabi does not make it milder but it does keep it from getting hotter. 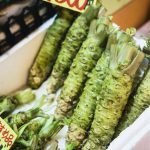 What's A Good Wasabi Substitute?